You know that dreaded sound. You're kneeling on your inflatable Therm-a-Rest® sleeping pad to press out all its remaining air, and you suddenly hear "tsssss" as a tent stake punctures a hole in it. You'll be glad you have this Therm-a-Rest® Instant Field Repair Kit on hand. It makes for easy, lasting field repairs. 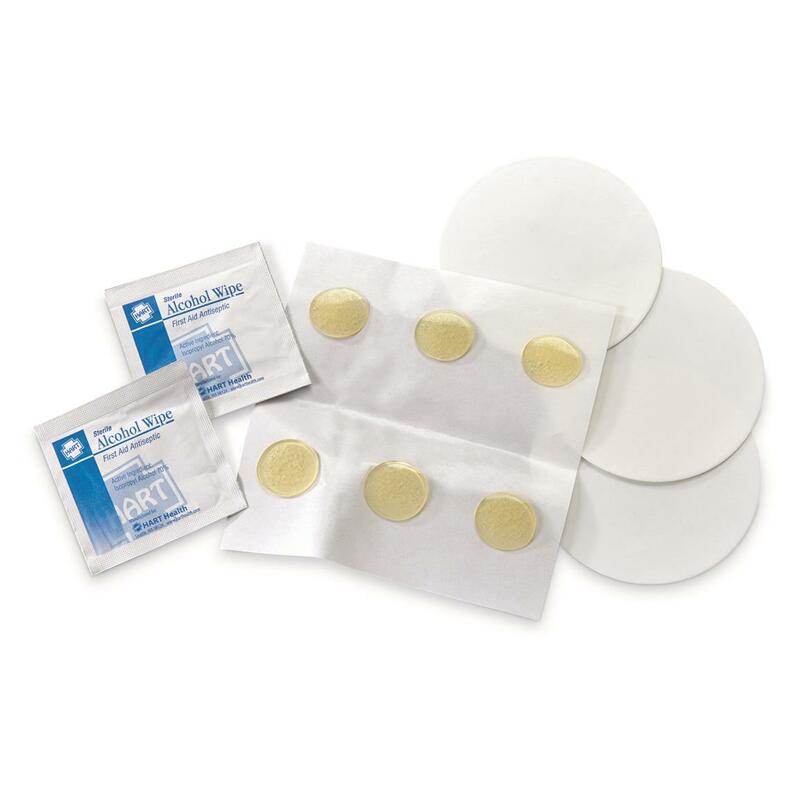 Includes all the self-adhesive patches that now come standard with most Therm-a-Rest mattresses. Therm-a-Rest Instant Field Repair Kit is rated 4.2 out of 5 by 5. Rated 5 out of 5 by Clarence from Never leave home without it. I have yet to use the repair kit on my pad, but when I found a hole in my hammocks rain fly - this little gem saved the day. Rated 5 out of 5 by Howie38 from Better to have it and not need it... ...than to need it and not have it! Have never actually needed the kit, but always carry one for each pad. Fact that kit is available is a good thing. Not needing it is a GREAT thing! Rated 5 out of 5 by PAPA from A patch in time saves mine While hiking the AT last year and sleeping on my Neo trekker lite for 1300 miles I became careless and put two holes in it. The glue dots in the patch kit stopped the leaks on the first try. The patches are holding up to more abuse this year and I am blown away by the long lasting results! Rated 5 out of 5 by yakkergirl from Packable Safety Kit! Never leave home without it. . . but with Therm-a-Rest, I doubt if I will ever have to use it. My T-a-R is 8 years old and isn't even close to needing repairs. . . great to have Just In Case!